Mostly cloudy skies this evening will become partly cloudy after midnight. Low near 45F. Winds N at 5 to 10 mph..
Mostly cloudy skies this evening will become partly cloudy after midnight. Low near 45F. Winds N at 5 to 10 mph. HUDSON FALLS — Steven M. Parsons, after a long illness, passed away early in the morning of Sept. 23, 2018, at Glens Falls Hospital. 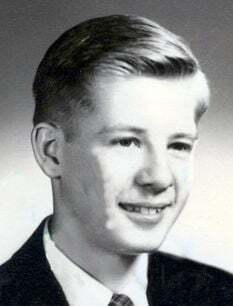 He resided in Hudson Falls and was born in Rochester in 1939. From the age of five, he studied the violin. Steve graduated from the Eastman School of Music in 1961 and taught music in the Hudson Falls Central School District from 1961 until his retirement in 1994. He was a loyal and generous man with a great sense of humor. Outgoing and affable, he easily made friends, and they will miss him dearly. He is predeceased by his parents, George and Helen (Harrington) Parsons. Steve is survived by his brother, Thomas L. Parsons. Friends may call from 10 a.m. to 12 p.m. Saturday, Oct. 6, at Carleton Funeral Home, Inc., 68 Main St., Hudson Falls. Memorial Services will follow the calling hours at noon at the funeral home, with the Rev. Michael Plank, pastor of the First Presbyterian Church of Hudson Falls, officiating. Following the service, everyone is welcome to a reception at the First Presbyterian Church, 5 River St., Hudson Falls. In his last hours, Steve expressed his deep gratitude to the Fort Edward Rescue Squad, Inc. and the wonderful staff and doctors of Glens Falls Hospital. In lieu of flowers, donations can be made to Fort Edward Rescue Squad, Inc., P.O. Box 226, Fort Edward, NY 12839. Online condolences may be made by visiting www.carletonfuneralhome.net. Fort Edward Rescue Squad Inc.